Cozy and cheery—these words come to mind when you step into Stacy's, a new restaurant in Capitol Hills, Quezon City serving all-day breakfast meals, hearty comfort food, and desserts. Casa Francesco in Timog, Quezon City offers a cozy, Spanish atmosphere to its guests. They have an al fresco dining area wherein you can enjoy a fun and casual dining experience with your friends and family. Buenisimo by Café Ysabel is located in Eastwood City Mall in Quezon City. 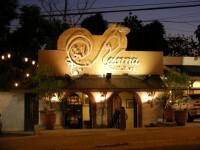 They serve succulent and appetizing European dishes. One of their specialties is the Truffle Pizza. 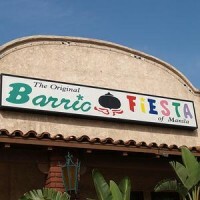 Barrio Fiesta Restaurant was established to bring delicious Filipino dishes to the table. Some of their specialties include Kare-kare and Crispy Pata. You can also find Filipino sauce and condiments for sale for their customers to enjoy. 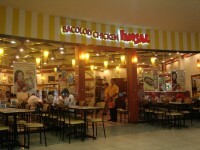 Bacolod Chicken Inasal serves a wide selection of well-loved Filipino dishes and specialties from Southern Philippines. They are known for the chicken barbecue or "chicken inasal" as well as their Batchoy and Crispy Boneless Danggit. 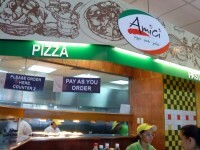 Amici offer authentic Italian dishes from their fire oven-cooked pizzas to their flavorful Gelatos. Amber Golden Plate Restaurant was established in 1988 has gained enormous popularity because of their simple dishes such as pichi-pichi and pancit palabok. They are known for their generous serving and affordable prices. If you want to travel back in time and know how it feels like to dine-in old Filipino style, why don't you try Adarna Food and Culture? Located at Kalayaan Ave. in Quezon City they serve traditional Filipino dishes at very affordable prices. 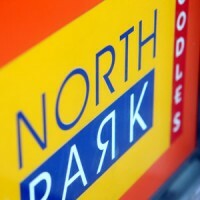 North Park offers Chinese comfort food for the whole family. They have a variety of dishes from noodle soups to dimsum to congee. Mister Kebab is successfully established Persian restaurant in the Philppines. They are known for their Special Cielo Kebab that is served with butter in rice and a siding of tomatoes. Their food is delicious and reasonably priced making their customers come back for more.